(From Cheese Connoisseur magazine, June 2016) Eyeing the choices arrayed under glass at cheesemongers’ shops is our favorite kind virtual travelogue. The trail leads through whole nations of dairy art from French Epoisses and Gorgonzola in Italy to Spanish Manchego and Redhawk Triple Crème from California’s Cowgirl Creamery. 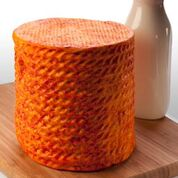 We may eye British Cheddar, but cheeses imported from neighboring Mexico? Not so much. Almost identically shaped rounds of grate-able Añejo, mild and meltable Asadero, tangy Chihuahua, all-purpose Queso Fresco, mozzarella-like Queso de Oaxaca, and farmer’s cheese-like Panela fill multiple refrigerated supermarket shelves of Latino markets and also supermarkets in much of the Western U.S. However, those popular “Mexican-style” cheeses are made in California, Wisconsin or New York State. And while we have grown accustomed to a glowing orange cheese blanket smothering bean-centric burritos and nachos at Tex-Mex restaurants, a hot generation of chefs and cheesemakers in the United States and in Mexico City is changing that image with innovative cuisine and a new appreciation for the country’s artisan cheeses. The mystery of Mexican cheese to most Americans (and many Mexican chefs) has inspired a one-man cheese campaign. Meet Carlos Yescas, a former United Nations migration expert and admitted curd nerd. He founded the Mexican Institute for Cheese, and opened a cheese distribution company with his sister, Lactography in Mexico City, to market small production cheeses that might otherwise disappear. Their QuesoStore in the Mercado Roma is the first shop in the country to specialize in Mexican artisan cheeses. “Most are fresh cheeses made by families and small producers using raw milk,” he said. U.S. law prohibits the importation of raw milk cheeses, something Yescas is working to change as the head of Boston’s Oldways Cheese Coalition. The organization’s Raw Milk Appreciation Day has grown to include 600 tasty events in 17 countries in 2016. If you visit Mexico, Yescas recommends some eye-opening small batch producers. “There really are some wonderful, flavorful aged cheeses being made,” he said, including those from Queso de Oveja del Rancho San Josemaría; Sierra Encantada; Quesos La Consentida; Mesón del Cotija; and Ramonetti. Just as British musicians reintroduced American ears to the blues and rock and roll music in the 1960s, it was non-Mexicans who introduced cooks to the pleasures of authentic Mexican regional fare. Writers like British-born expert Diana Kennedy opened the door. Chicago’s Rick Bayless at his Frontera Grill and Topolobambo and on his long-running PBS program “Mexico – One Plate at a Time” has made the complex cuisine accessible a la Julia Child and fancy French cooking. Joanne Weir is optimistic about changing perceptions because she change her own attitude. The James Beard Award-winning author of 17 cookbooks and host of PBS’ “Joanne Weir Gets Fresh” opened a modern Mexican eatery called Copita in Sausalito four years ago following her research for an epic volume on tequila. “What’s interesting is that I had thought Mexican cuisine really wasn’t that exciting. Then I started tasting regional cooking in Mexico. I love the acidity of the limes and the brightness and complexity of the flavors,” Weir said. “At Copita we work to dispel is the idea that Mexican food is a big plate of rice and beans, and that it has to be cheap,” Weir said. Copita’s attractions include Enchiladas de Pollo en Mole Manchamanteles with apple, Queso Oaxaca, almonds and crema and Tortilla Soup with avocado and Cotija. Initially, Weir had trouble finding Mexican-style cheeses that were equal to the other ingredients she was sourcing. “Now there are a bunch of small batch cheesemakers in this country. I really like the cheeses from Queso Salazar made in Brentwood,” she said. 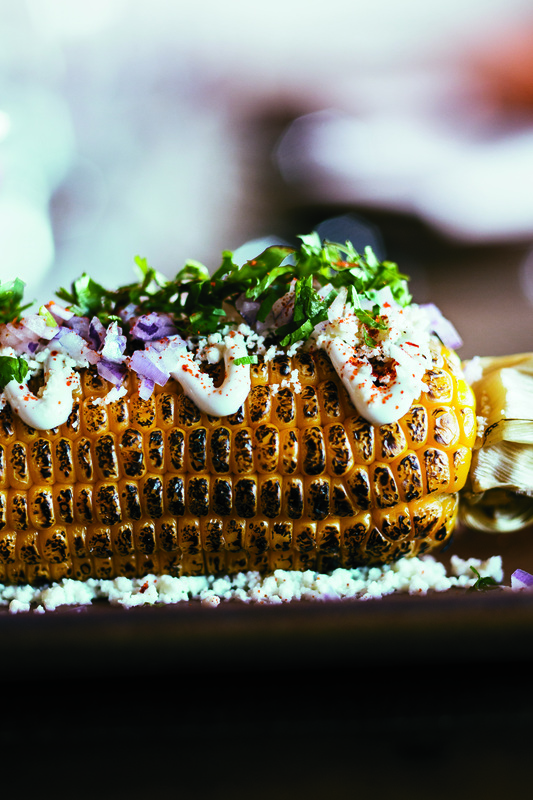 One of the most popular dishes at Copita is elotes, roasted corn on the the cob dusted with chile arbol, brushed with butter, drizzled with chipotle aioli and sprinkled with grated Salazar Cotija. Mexican-born chefs who are transforming the cuisine in their home country and the United States. Mexico City-born chef Richard Sandoval has been at the forefront of Mexican-inspired cuisine and operates more than 40 eateries in the U.S., Mexico and around the world including Zengo in Washington, D.C. and Tokyo’s Toro Gastrobar. There are definitely no combo plates or chile rellenos gushing gooey cheese on the menu at Cosme. Even the tacos are literally of a different shade, said Mariana Villegas, kitchen manager at New York’s acclaimed modern Mexican spot opened by chef Enrique Olvera, known for his fine-dining destination Pujol in Mexico City. “We mix farmer’s cheese with lime zest and served it with different colors of roasted beets and green tomato with serrano pepper, charred corn salsa, epazote and lots of fresh lime juice,” Villegas said. The dish is served with striking pink-hued fresh corn tortillas made with beet juice. Villegas grew up in Monterrey in northeastern Mexico where the creamy goat milk cheese called Requeson is traditionally made. “We look for American cheeses that match the traditional ones,” she said. She stocks Queso Fresco from upstate New York that tops the brunch dish huevos rancheros with refried black beans. “We use Queso Oaxaca which is meltable in our epazote and mushroom quesadillas,” she said. Once upon a time eateries dished “Italian,” “Chinese” and “Indian” food that was really mishmash of dishes from all over the nation. Slowly the joy of regional Tuscan, Hong Kong or Goa-style flavors has caught the attention of the nation’s palate. “Chefs in Mexican fine dining have really started to focus on regional cooking styles and dishes like pipian and moles. They are looking at specific types of beans for a dish, abnd heirloom corn varieties and original local seasonings,” said Carlos Yescas of Lactography. It’s the classics with a twist made from scratch with great ingredients in an array of distinctive regional styles from Oaxaca to Puebla and Michoacan as well as Mexico’s metropolitan capital area where sophistication is embraced. “It’s unbelievable what’s going on in the restaurants in Mexico City,” Joanne Weir enthused. “Mole sauces of all kinds are going wild including a great deconstructed mole. At La Unica restaurant we had these huge roasted marrow bones that just came to the table with warm handmade corn tortillas and a spoon.” Copita’s Mexico City Chef Daniel Tellez has served as a tour guide. .
Mexico City Chefs have also moved beyond what Yescas called the “pre-Colombian focus” to include foods introduced by immigrants over hundreds of years. For example, the city’s famous tacos al pastor were actually inspired by gyros sandwiches sold by Lebanese vendors. Fine dining establishments there are even starting to serve cheese plates with two or three Mexican artisan cheeses. “They are looking for small producers to find exactly the right high-quality cheese from a specific region like Chiapas or a breed of cow whose milk has a certain flavor profile,” he said. Crema: Thin soured cream similar to crème fraîche used drizzled on roasted corn and other dishes. Preheat an outdoor grill over medium heat. Cut the top ends off the corn. Place on the grill and grill, turning occasionally, 12 to 15 minutes. In the meantime, in a blender or food processor, combine the mayonnaise, garlic, chipotle, and lime juice and ¼ teaspoon salt until smooth. In a small bowl, combine the chile de arbol, guajillo and ¼ teaspoon salt. Set aside. When the corn is done, peel back the husks and discard the silk. Brush the corn with melted butter. Drizzle the chipotle aioli onto the top in a zigzag pattern. Sprinkle with the Cotija, cilantro and red onion. Sprinkle the spice mixture onto the top. Serve garnished with a lime wedge. Makes six servings. Make the sauce: In a small non-stick skillet over medium-high heat, roast the tomatillos (start them cut-side down) and garlic until soft and browned, 3 or 4 minutes per side. (If a non-stick skillet is unavailable, line a regular skillet with aluminum foil.) Scoop the tomatillos and garlic into a blender or food processor, add the chile and 1/2 cup water and blend until smooth. Taste and season with salt, usually a generous ½ teaspoon. Finish the dish: Film a heavy-bottomed skillet with vegetable oil and bring to medium heat. Add cheese slices, and sear until golden brown, about 2 to 3 minutes per side. Pour in salsa and bring to a rolling boil. Scoop sliced onion into strainer and rinse under cold water. Sprinkle over the dish, along with the chopped cilantro, and serve with warm corn tortillas. Making the salsa: Scoop the tomatoes, chilies, cilantro, garlic and white onion into a bowl and mix well. Stir in the hot sauce, ketchup and optional lime juice. Taste and season with salt, usually about a scant teaspoon. Making the shrimp filling: Heat a very large (12-inch), heavy skillet – nonstick works really well – over medium-high. Pour in 2 tablespoons of the oil and when it is hot, add the “salsa” vegetables. Cook, stirring regularly, until everything softens together, about 5 minutes. Scoop in the shrimp and stir until they are barely cooked through (they can still be slightly translucent at the center) – about 3 minutes. Scoop the shrimp mixture into a bowl, wash and dry the skillet, and return it to medium heat. Assembling the encamaronadas: Heavily coat the bottom of the skillet with oil. When hot, lay in a tortilla. After a few seconds, flip it, then scatter a couple of tablespoons of shredded cheese over one side, top with a generous tablespoon of the filling. Use tongs to fold the uncovered part of the tortilla over the filling, forming a turnover. Gently press flat. Continue to make encamaronadas in the same fashion until the skillet is full, frying them until crisp – 2 to 3 minutes per side. As they become crisp, remove them to a plate lined with paper towels. Serve right away with more Mexican hot sauce. Makes about 15 tacos. Tags: Boulder Weekly, cheese, Cheese Connoisseur Magazine, Joanne Weir, Mexico, Radio Nibbles, Rick Bayless. Bookmark the permalink.